I'd like to introduce you to the newest Speckled Sponsor, Sugar Foots Shop. Sugar Foots Shop was founded by Kristen Cast in 2009. The shop specializes in sewn and hand knit items for children. Kristen describes her shop as, "A collection of unique and modern designs and gifts by artist and mom, Kristin Cast. Hand made from my home to yours. Giving you smiles one stitch at a time..."
More about Kristen and Sugar Foots Shop. Being a Mom of 6 year old twin boys and a 3 year old little girl gives me the ability and joy to experience the simple faith of a child through their eyes. I get the privilege of all of those amazing feelings you get from the great mysteries and magic we all remember from our childhood: the Tooth Fairy, your favorite stuffed animal that protected you as you slept from the monsters under our bed and in our closets, the wonder of Santa Claus, or just the joy from getting a new toy. 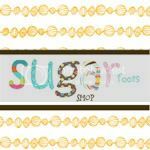 My kids are what inspired me to create The Sugar Foots Shop. 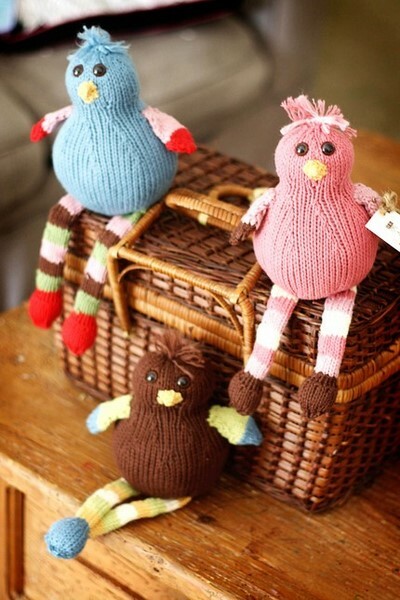 I have a growing collection of hand knits and many other gifts designed and created by myself. I hope they will bring smiles to you and your kiddos for years to come! Entry 3 - the little birdies are too cute though. Entry 4 - :) Thanks so much for the chance - I like the Empathetic Monster too. That makes me smile. 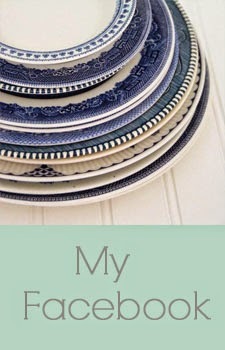 I follow both the Speckled Dog and the Sugar Foots Shop blog. I'm having a really tough time deciding if my favorite is Oliver the Dog or Sammy the Sock Monster: Entry 1. I am a follower! Woot! Oh my! They are so cute!! My Favorite item from the Sugar Foots Etsy shop (besides the freakin' adorable birds) is "Eden the Empathetic Monster"
I follow the Speckled Dog and the Sugar Foots Shop blog. My favorite item from the Sugar Foots Etsy shop is Hand Knit Camera Strap black w/ the white flowers! Very cute. I love these!!!! So cute!! I also like the Candyland tooth fairy pillow for my little girl! My daughter would love the Tickled Pink Cuddle Monster! I am definitely a follower of your blog! I love it! I followed both blogs. So excited to have met you both! I follow the SpeckledDog and now follow Sugar Foots!! 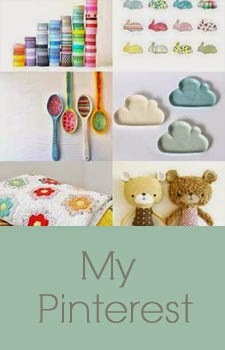 Cute blogs! I visited the shop and love Oliver the dog! So cute! Great shop! I visited the shop and love almost everything there! I love the giveaway birds! Oliver! Oliver! What a cute dog! I visited the Etsy store, and the little birdies are my favorite! I also liked the mommy and baby monster. I am a follower of both the blogs. I really like the birds in her Etsy shop but the snake is cute too. 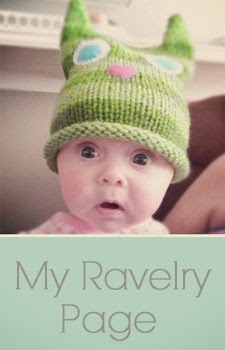 I really like the newborn knit hat on the Etsy site! It's super cute! I'm a follower of both your blogs! I'm a follower of Sugar foots too! I'm a follower and I LOVE Oliver the Dog!